Albina Green is a grassroots project located on the corner of North Albina & Sumner Streets in Portland, Oregon. Portland Parks and Recreation owns the property and pays the water utility. As a community we have worked with the Humboldt Neighborhood Association, North Portland Coalition of Neighborhoods, Jefferson High School, the Bureau of Housing and Community Development, the Regional Arts and Culture Council, and the residents of Humboldt neighborhood to secure funding, as well as establish community interest, skill, and vision for the project. In the process of this project I have been the liaison between architects, contractors, artists, neighborhood residents, business owners/employees, and several city bureaus and associations. I have also been the primary designer for the park. This project has evolved through the ever changing nature of community and the rapid gentrification of our neighborhood and is a successful community green space with public art. The park size is 3552 square feet. Matt Cartwright made the bicycle fence, Henry Mansfield worked with the neighbors to make the pebble mosaic walkway, Johanna Jackson and Chris Johanson painted the mural. 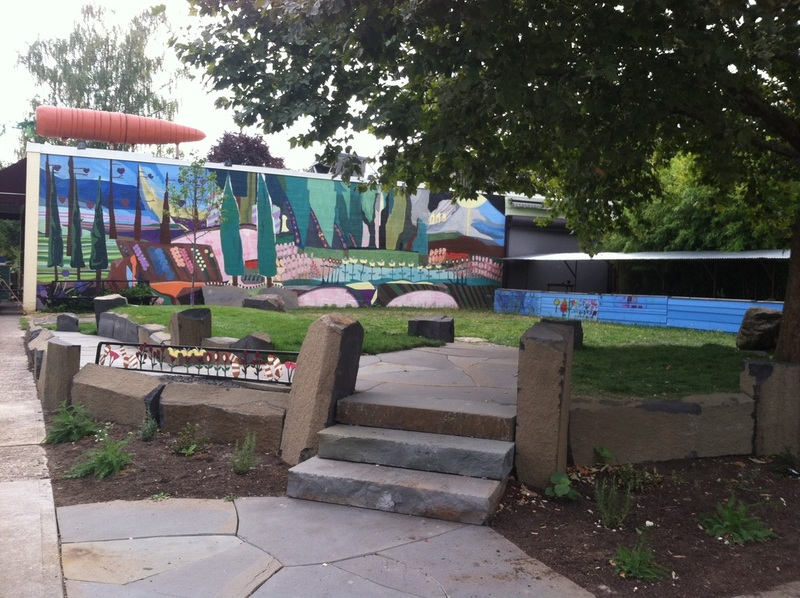 In 2013 Albina Green received a Community Livability Grant from the Portland Development Commission to redesign and add a grass stage to the site. This redevelopment was completed in the fall of 2014 with the help of Spencer Burton of Mountain Top Stone Masonry, Brain Murtagh of Studio Coop Architecture, Mike Suri of Suri Iron Inc. and Eric McClellan of EMC Landscaping, Chad Honl of Honl Tree Care, the Humboldt Neighborhood Association, the North East Coalition of Neighborhoods, Portland Parks and Recreation, and the fabulous community surrounding the green! Please visit the new community bulletin board for future seasonal events.